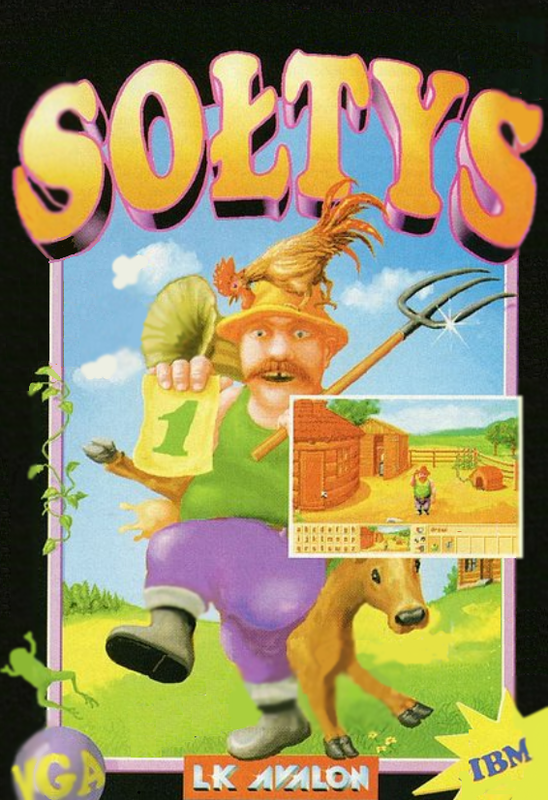 Sołtys is an adventure game by LK Avalon that was released in Poland in 1995. In the game, a groom runs away at the alter at his arranged marriage. The bride's father, the sołtys (mayor) of his small rural town, goes off to find him. It was released as freeware on November 26, 2011, and is available at the ScummVM downloads page for use with the adventure game interpreter ScummVM. It is available in its original Polish language, and, for the first time, an English translation is available as well. Sołtys is now supported by ScummVM, a program designed to let 2D adventure games run on multiple platforms. With ScummVM, Sołtys now runs on modern versions of windows, as well as Linux, Mac OS X, and many consoles such as Dreamcast, Wii, PlayStation 2, and PlayStation Portable. For a complete list of platforms supported by ScummVM, see here.